Happy New Year Friends! Wishing you all a Happy, Healthy, and Prosperous 2017. It's cold here in Georgia tonight. Ha, I still have my Christmas decorations up as I got sick right after the new year. That nasty cold bug went around to practically the whole family. Wanted to share some tags with you that I made for Christmas. All these tags were inspired by Jill Norwood on Youtube. I love to watch her "Curating for Christmas" videos. 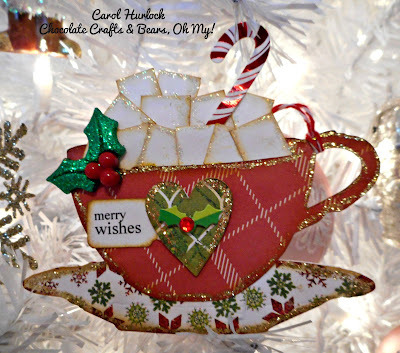 She makes some of the pretties tags ever!!! 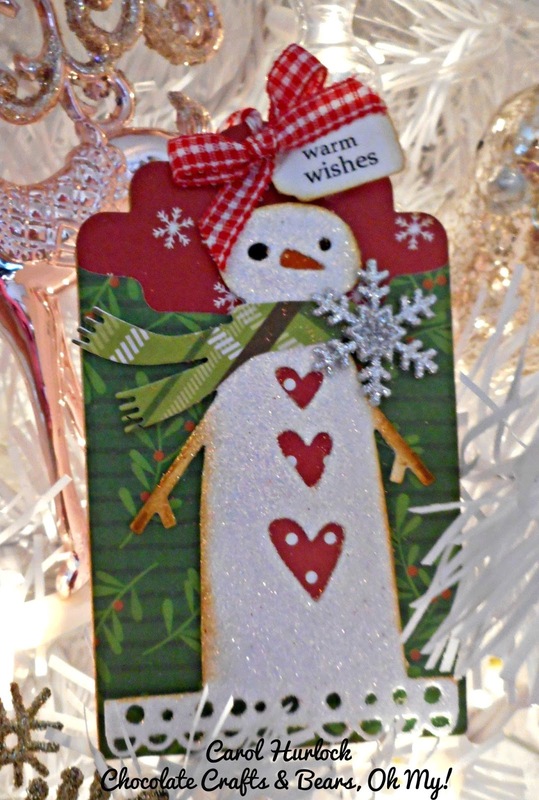 The Candy Cane Tag is a Sizzix die, The Snowman is also a Sizzix Die. 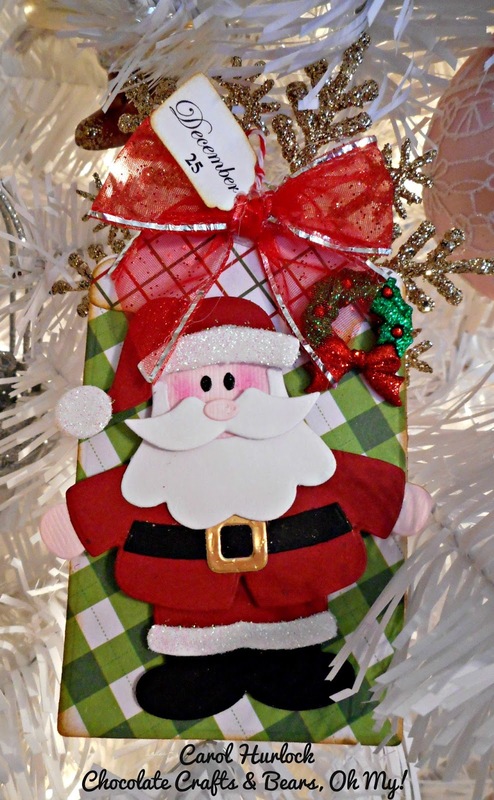 The Santa is a Marieanne Creatables die. 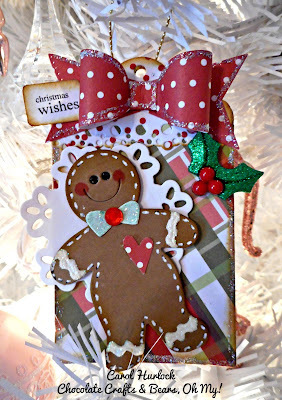 The Gingerbread man and the Hot Chocolate tag is also a Sizzix die. I had fun making these tags for family this year. 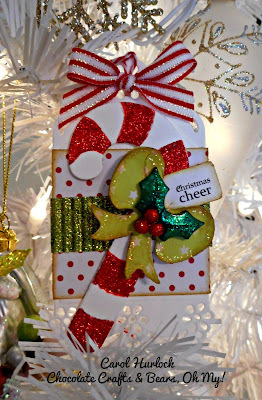 I made mini loaded envelopes for their Christmas cards and stuffed them with these tags. Thanks so much for dropping by for a look. Hope to be back crafting as soon as I get these Christmas decorations down. I am ready to get back at it. What have you been up to lately? Until next time, Happy Crafting. Your tag are incredible, I love it. 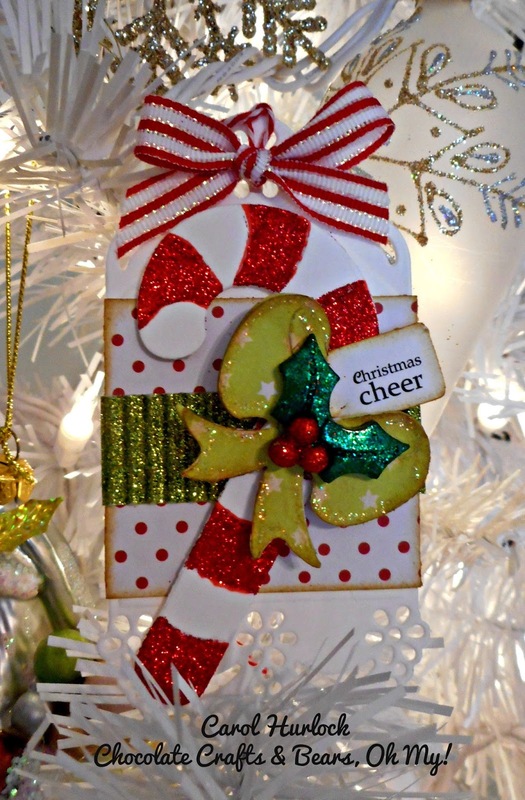 Beautiful tags! Can you please share what product did you use to create bright green iridescent leaves?